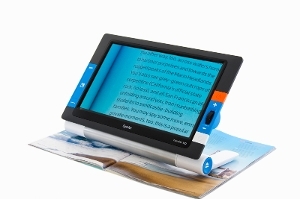 A handheld video magnifier is a small, lightweight electronic magnifier that is easy-to- use. 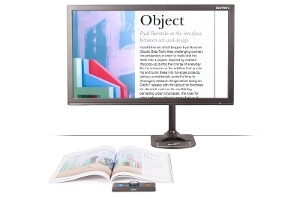 Due to its compact size, it is easy to carry along anywhere you go. You can magnify and increase contrast on the spot. 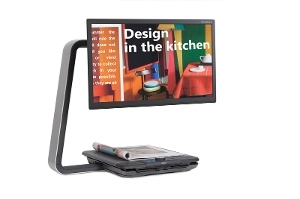 Use a portable video magnifier on the go to read price labels, maps, bus schedules, directions and your favorite restaurant menu. 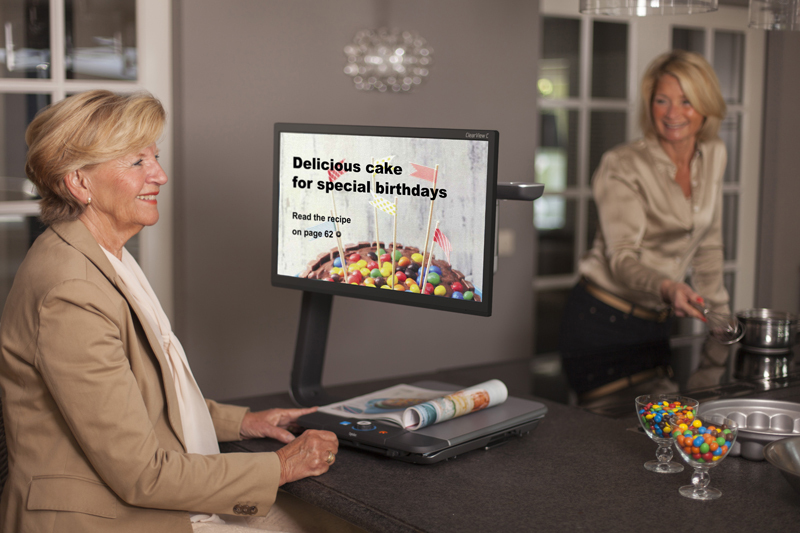 Optelec offers a wide variety of desktop and handheld video magnifiers. If you are interested in the different possibilities, contact our friendly specialists by means of the contact form.